Every website today it seems, has a password that you must enter before being able to handle all of your most important tasks like checking your email, or checking out your friends’ status updates on Facebook. And while lots of people choose to use the same password for all websites, just so they don’t forget an ever-important password. But as websites become more complicated, this trick just doesn’t do it anymore. Some passwords require a combination of upper and lower case letters while some require at least one number. And others still let you choose whatever password you darned well please. So, how are you to keep them all straight? 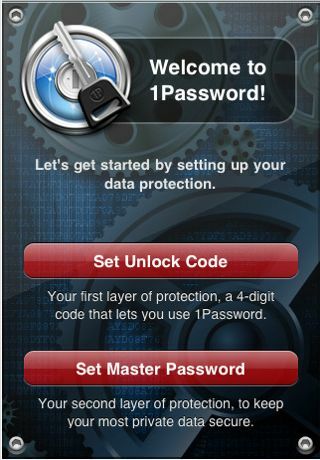 With the 1Password app for the iPhone or the iPod Touch. The 1Password iPhone app lets you enter in any password that you’ll ever need. So you can browse websites with ease, and have all those crucial passwords right at your fingertips – without having to remember a single one of them! But 1Password does much more than just let you store your passwords. It will also hold your bank card information, your Social Security number, and other personal information such as your address (or your friend’s address seeing as how you’re not likely to forget your own.) Any information that you don’t want falling into the wrong hands will be kept completely safe with the 1Password app for the iPhone or iPod Touch. But what if you lose your iPod, or it gets stolen? Will the new owner of your device now be privy to all your most confidential information? Absolutely not! This app comes equipped with both a 4-digit unlock feature, as well as a Master password feature. And of course, you choose what those passwords will be! Just be sure to remember that while you can still store these passwords in the 1Password app, you’ll still have to remember them yourself as you won’t be able to access any of your info without them. The 1Password ipod touch app unfortunately doesn’t come free for the iPhone or the iPod Touch. And, at the price of $6.99, it is a little bit costly for an app. But consider how safe all of your information will be, plus the fact that you don’t have to remember all of your different passwords and other critical information, and it’s easy to see why this iphone app is priceless! Get this Password iPhone App Here!